The Uni-Sig is made of acrylic (70% stronger than glass) and is either equipped with or without reflective tape. 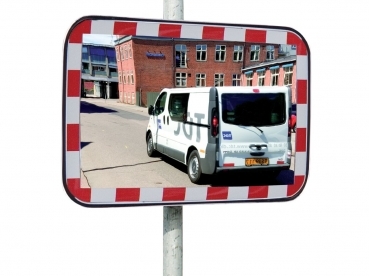 The mirror comes complete with mounting hardware for wall mounting or pipe posts (Ø 50 - 85 mm). 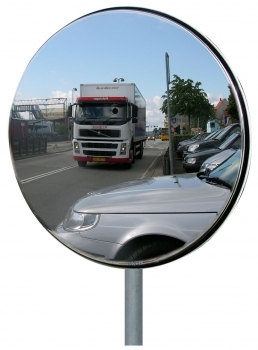 The fixing material is made of steel and the mirror can be fixed in two different positions. 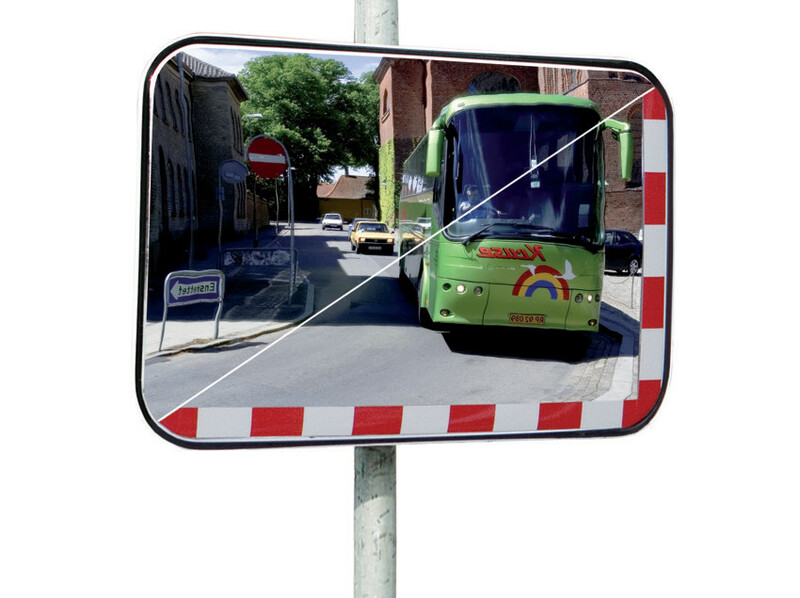 The low-cost Uni-Sig mirror enhances road, industrial, underground car park, shopping mall and private road safety. 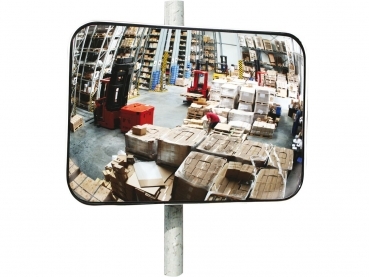 Due to the reflective film, the risk of accidents is minimized, especially in bad weather or darkness, as the visibility is better.